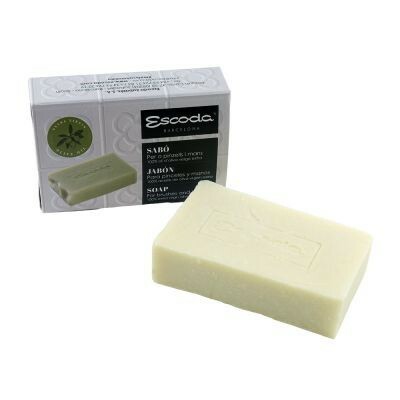 A gentle soap for cleaning and preserving the performance of fine artists brushes. Hand-crafted in Spain according to centuries old techniques. Made from 82% extra-virgin olive oil from sun-drenched Toledo, this 100% natural formula is both effective and truly gentle — so gentle, in fact, that Escoda recommends using it to clean paint from your hands. 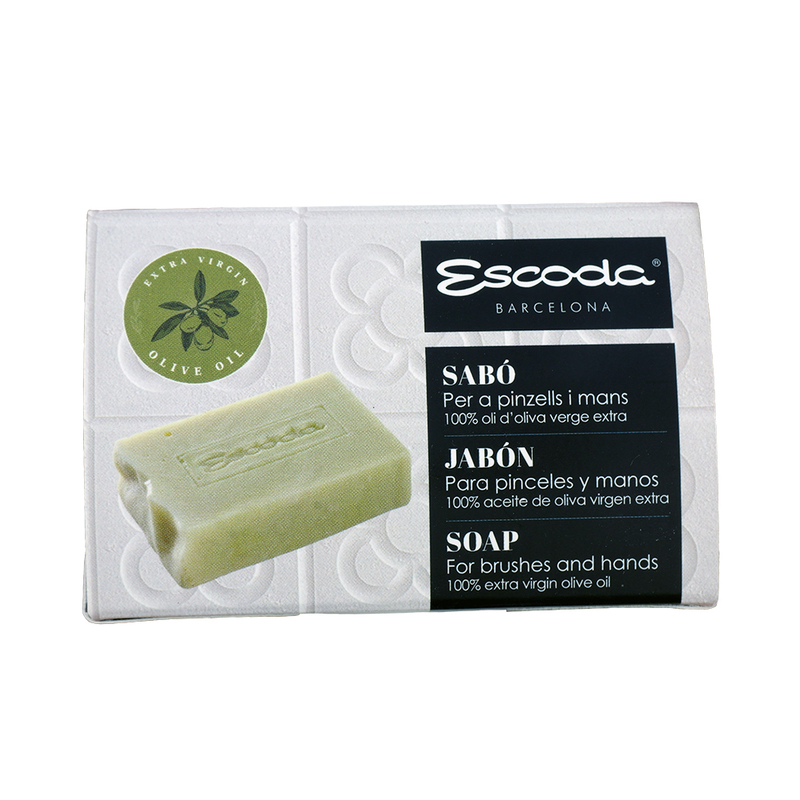 Produced in Spain using a centuries-old technique, every bar of Escoda Artist Brush and Hand Soap is hand-cut and stamped with the Escoda name — your promise of exceptional quality. 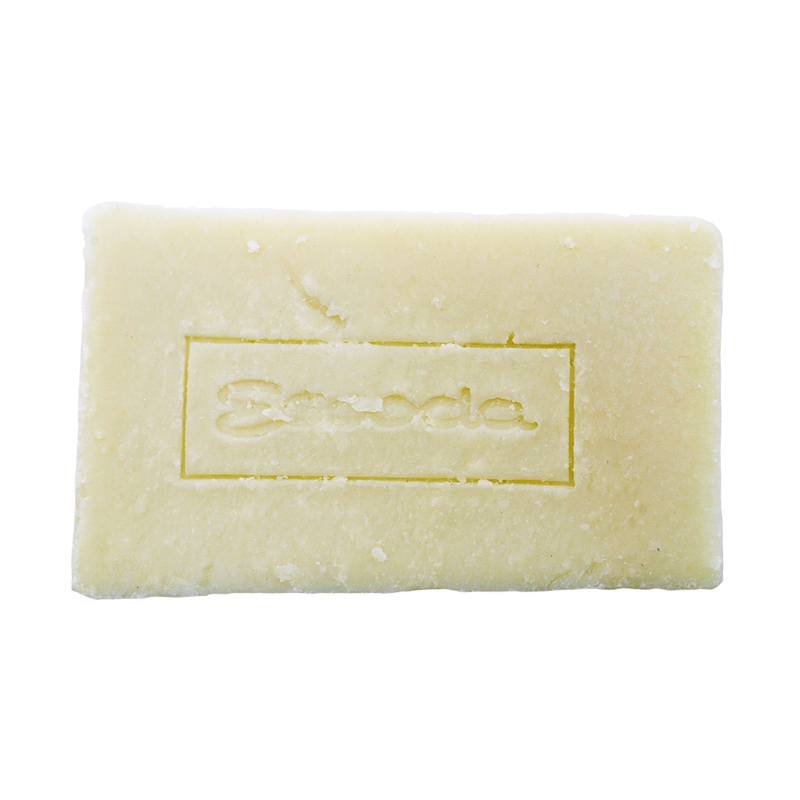 Brush care instructions are included with every bar. 3.53 oz (100 g) bars.